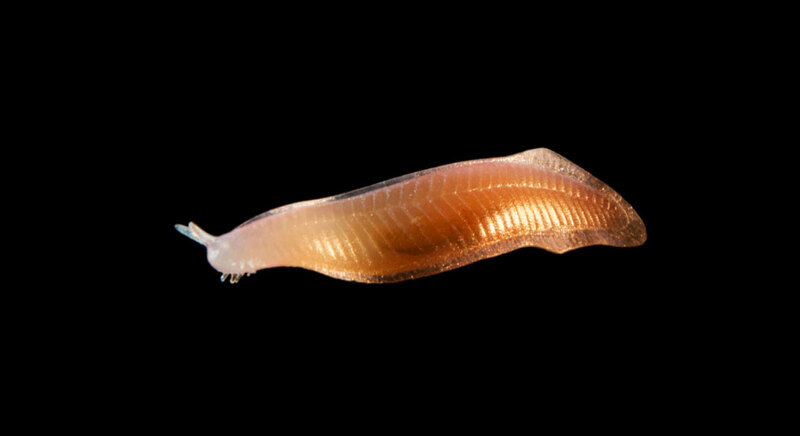 Pikaia gracilens, (1:1) 5 cm. Pikaia gracilens is an extinct, primitive chordate animal known from the Middle Cambrian. Sixteen specimens are known from the Greater Phyllopod bed, where they comprised 0.03% of the community. It resembled the lancelet and perhaps swam much like an eel. It lacked a well-defined head and averaged about 3.8 cm in length. Once thought to be closely related to the ancestor of all vertebrates, it has for that reason received particular attention among the multitude of animal fossils found in the famous Burgess Shale in the mountains of British Columbia, Canada. 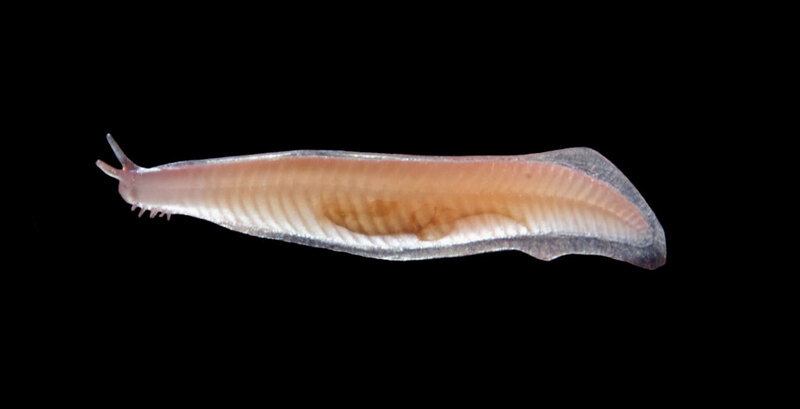 Looking like a worm that has been flattened sideways, Pikaia had a pair of large, antenna-like tentacles on its head, and a series of short appendages, which may be linked to gill slits, on either side of its head. In these ways, it differs from the living lancelet. The "tentacles" on its head may be comparable to those in the present-day hagfish, a jawless chordate.